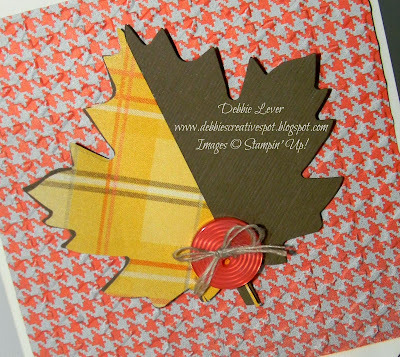 I've been in my studio creating Fall themed cards. 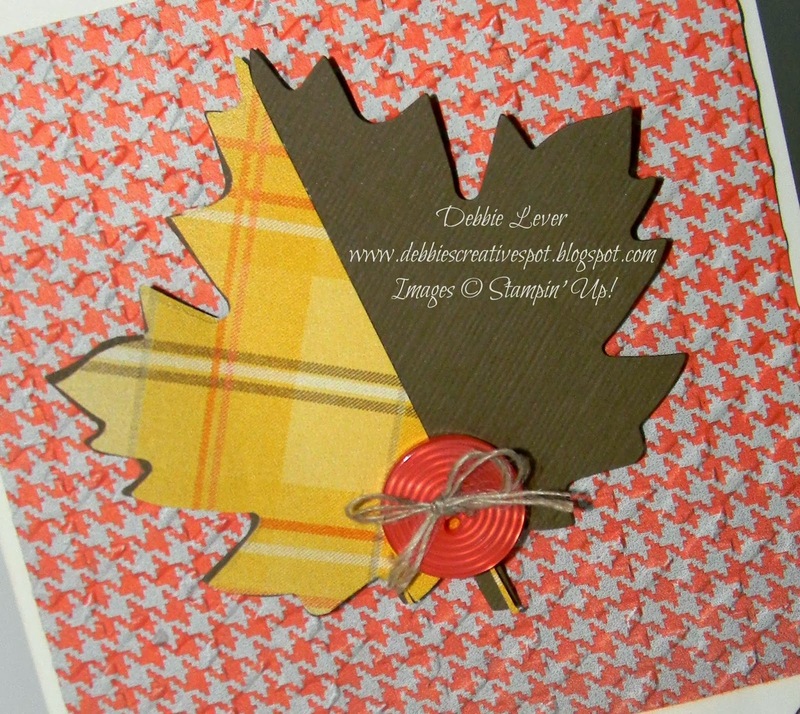 I got out my Autumn Accents Bigz die and used it to cut the maple leaf on this card. I cut two - one in cardstock, the other using the Sweater Weather Designer Paper which I LOVE! The designs are comfy cozy and I love the color palette. 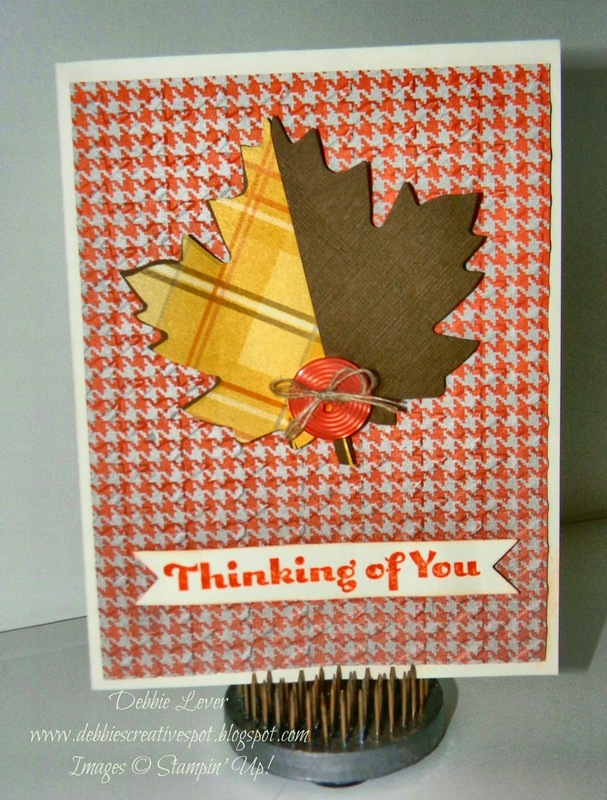 I embossed the background paper using the houndstooth embossing folder just to give it added texture. A Tangerine Tango button with a linen thread bow finishes the design.